Great DJ sets, 2 pooltables, beerpong, games nights, volley ball, fussball and ping pong table, book exchange and service with a smile ! Also, our BREEZE Restaurant & Bar (at 50 meters from the property) will pamper you from 7 AM till late night for breakfast, lunch and dinners. 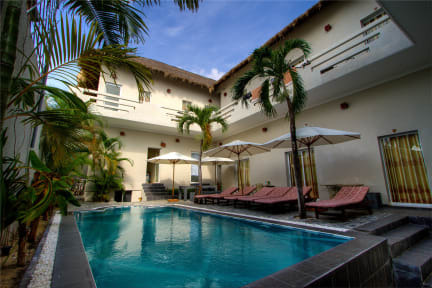 Mui Ne Hills Budget Hotel (previously Mui Ne Hills 2) is 10 km from Mui Ne Fishing Village and 13 km from Phan Thiet city centre. It is 14 km from the Red Sand Dunes and 210 km from Ho Chi Minh City.